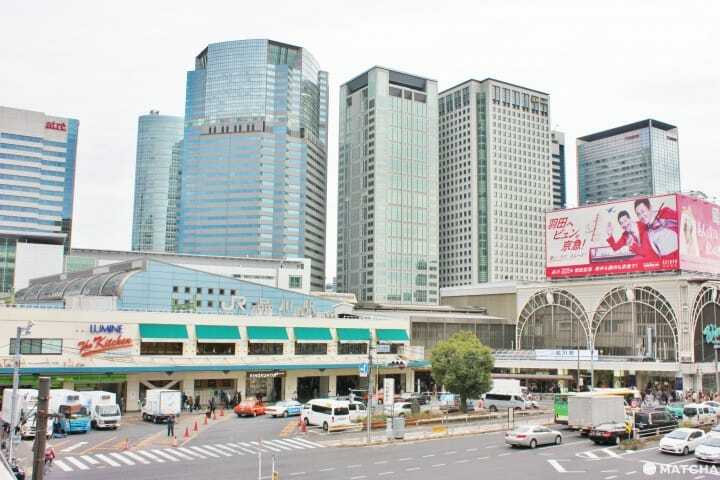 Shinagawa Station is a common and convenient station to make transfers in Tokyo. The JR, Keikyu, and Shinkansen lines run through the station, making it very convenient for travel. Learn how to make transfers and enjoy sightseeing without any problems! Shinagawa Station is one of Tokyo’s main railway stations and services the JR, Shinkansen (bullet train), and Keikyu lines. The station has great access to Haneda Airport, Narita Airport, Tokyo, and other major sightseeing areas. You will likely use it at least once if you’re thinking of traveling in Tokyo. Due to its convenience, many people use the station to transfer between the JR trains to the Keikyu trains and the Shinkansen. This article introduces how to transfer to other lines from each JR Line so that even people visiting the station for the first time will be able to transfer smoothly! Three lines – the JR Line, Keikyu Line, and Tokaido-San’yo Shinkansen – run through Shinagawa Station. The JR Line is most recommended to those heading to sightseeing areas in the city. It’ll take about twelve minutes to get to Tokyo and Shibuya (170 yen) while it’ll take 20 minutes to get to Ueno and Shinjuku (200 yen). The line also connects to other areas such as Yokohama and Chiba, making it easy to get to the greater Tokyo area. The Keikyu Line is convenient for traveling to Haneda Airport and Asakusa. You can travel to either area without making any transfers. The Tokaido Shinkansen is a bullet train that travels to areas such as Nagoya, Kyoto, and Osaka. Shinagawa Station is compact compared to Tokyo Station, making it easy to make transfers at this station. ・ Shopping Centers and Aquarium Nearby! In this article, we’ll introduce how to transfer to other lines from JR Shinagawa Station. Within JR Shinagawa Station, there are many different JR train lines, such as the Yamanote and Keihin-Tohoku lines that travel through the station. The station also has many platforms. For that reason, we should first understand the overall structure of JR Shinagawa Station. The platform for JR Shinagawa Station is on the first floor. After you’ve gotten off the train, use the stairs, escalators, or elevators to head up to the second floor where the ticket gates are located. Refer to the table below to check beforehand which numbered platform the line you are riding will stop at. Without further ado, we’ll introduce how to transfer to each line from JR Shinagawa Station! First is how to transfer to the Keikyu Line. The Keikyu Line links together areas such as Tokyo, Yokohama in Kanagawa, Yokosuka, and Misaki. The fastest way to get to Haneda Airport is by the Airport Limited Express, which will take about fifteen minutes (410 yen) to arrive at the airport. The Toei Asakusa Line, a line that passes through Asakusa Station, also services this station, allowing you to get to Asakusa in about 20 minutes (400 yen) without transfers. To go to Asakusa, take the train at Platform 2 on the Keikyu Line. Please note that you must transfer at Sengakuji Station if you take a train bound for Sengakuji Temple. When transferring from the JR Line to the Keikyu Line, look for a large hanging banner (pictured) that has “Transfer to Keikyu Line (Only for Changing Trains)” printed on it! After arriving at the JR platform, head towards the Central Gate. Head upstairs from Platforms 1 or 2 (Yamanote Line) and you’ll see a hanging banner like pictured above. If you are transferring from Platform 5 and after, go in the opposite direction of the Shinkansen platform and head towards the convenience store, KIOSK. Upon arriving at KIOSK, you’ll see the hanging banner on your righthand side. The gate for the Keikyu Line is beyond this point. If you wish to travel to Haneda Airport by the Keikyu Line, then take the train bound for Haneda Airport from Platform 1 located right beyond the gate entrance. The Keikyu Line ticket office is located next to the transfer gates. There are also ticket windows with attendants, so ask them any questions if you feel uneasy. It is also fairly simple to transfer to the Tokaido-San’yo Shinkansen from the JR Line. As Shinagawa Station is smaller than Tokyo Station, it won’t take long to transfer. From Shinagawa Station, you have a choice of three Shinkansen trains: the Nozomi, Hikari, or Kodama. This is the Shinkansen you use to get to Nagoya, Kyoto, Osaka, Hiroshima, or Hakata in western Japan. From the platform, head upstairs to the Central or North Gate. The entrance to Platform 15 is nearby. Continue inside to find the ticket gates for the Shinkansen. Those with seats in cars 1 to 5 should transfer at the South Transfer Entrance while those with seats in cars 6 to 16 are recommended to use the North Transfer Entrance. By doing so, you will arrive on the platform conveniently near your seat! You can directly travel to Odaiba or Roppongi by taking the bus from Shinagawa Station. To get to the bus stop area, exit the ticket gates once from the JR Central Gate. Once you leave the Central Gate, there will be two exits, the Konan Exit (East Exit) or the Takanawa Exit (West Exit). Each exit has bus stops. If going to either Odaiba or Tokyo Tower, then head to the Konan Exit. Exit the JR Central Gate, then continue right and go downstairs to take the bus at the bus terminal. To get to Odaiba, it will take seventeen minutes on the Odaiba Rainbow Bus (210 yen). To get to Tokyo Tower, it will take 35 minutes on the Toei Bus (Hama 95 boud for Tokyo Tower) (210 yen). If going to the Roppongi area, head to the Takanawa Exit. Exit the JR Central Gate, then continue left and exit through the Takanawa Exit. After exiting, cross the pedestrian bridge on your righthand side to get to the sidewalk on the opposite side. The bus stop will be at this sidewalk. To get to Roppongi Hills, it will take 25 minutes on the Toei Bus (Tan 96 bound for Roppongi Hills) (210 yen). Shopping Centers and Aquarium Nearby! The ecute Shinagawa, a shopping center inside the JR station, contains souvenir shops, cafés, and a bookstore. You stop by if you have time to spare before your transfer! You’ll also find atre Shinagawa, a shopping center, at the Konan Exit after exiting the ticket gates. Wing Takanawa, another shopping center, and Aqua Park Shinagawa, an aquarium, are located outside the Takanawa Exit. This area also has several hotels and restaurants, making Shinagawa is an ideal area to explore. Mount Fuji In Tokyo? Take On The Fujizuka Of Shinagawa Shrine! Shinagawa Station, out of all the major stations in Tokyo, is relatively small and easy to use when transferring trains compared to Tokyo and Ueno stations. The station is known for its great access, with direct connections to Haneda Airport, Narita Airport, and sightseeing areas in Tokyo. If you’ll be making any train transfers, remember to prepare your Shinkansen tickets and IC card beforehand for smooth travels. Have a nice trip without losing your way! Get To Tokyo From Haneda Airport Simply - Train, Monorail, And Bus Guide! 5 Discount Tickets: Go From Haneda Airport To Tokyo And Save!